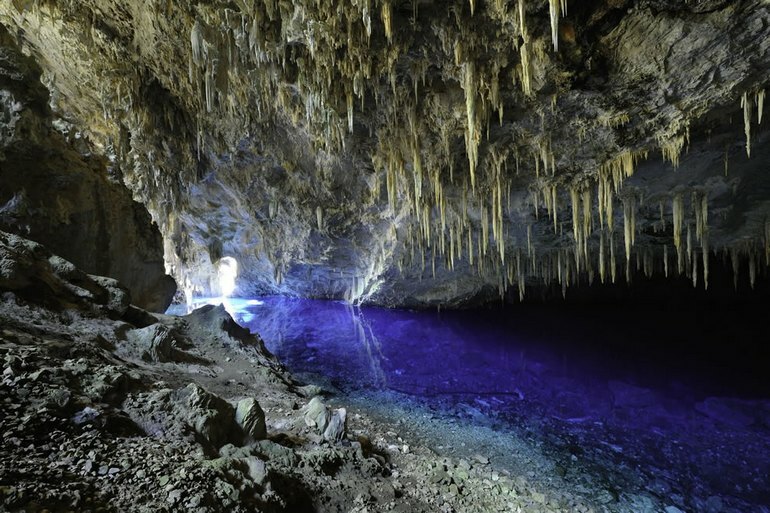 Blue lake cave in Brasil is one of the most beautiful and most famous lakes in world. Amazing fact is that no human set foot inside the magnificent cave lake.This lake was founded in 1924 when an Indian discovered it. This cave is really deep, and inside it divers discovered lots of mammals fossils and bones, which one belongs to Saber-tooth tiger. Water in this lake is really clear and human eye can see bottom of the lake down to 295 feet. This is something amazing.